Helps maintain normal intestinal function. Supports the liver, immune system and production of red blood cells. 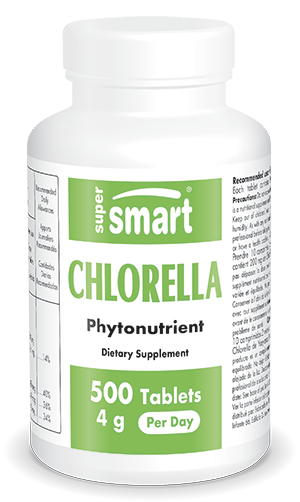 Exceptionally rich in proteins, iron and vitamin A.
Chlorella is a single-celled, fresh water, green algae. It has the highest chlorophyll concentration of any known plant, and consists of 60% protein including all the essential amino acids. Yaeyama, a sub-species of Chlorella vulgaris, contains chlorella growth factor which is rich in nucleic acids (DNA and RNA) and peptides. To control blood sugar levels and blood pressure. Each tablet contains 200 mg of Yaeyama Chlorella.